To celebrate International Record Store Day, Monorail will be hosting an exhibition curated by visual artists Chris Biddlecombe and Janie Nicoll (aka Obstacle Soup). 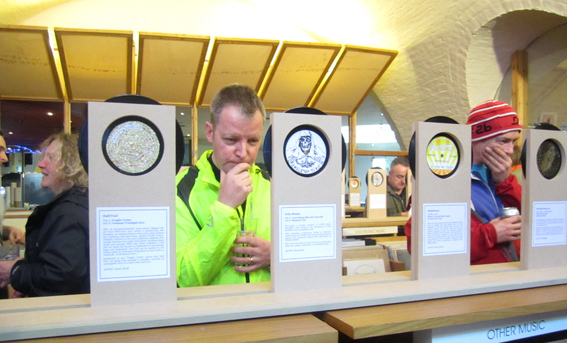 This installation reveals another set of possible recordings in response to the collaborative project that previously created fictional 12" album covers in Monorail (Record Store Day 2012, Glasgow) and Avalanche Records (Annuale Festival 2012, Edinburgh). Each artist has created their own fictional 'single' in the form of a 7" double sided label artwork, with updated information on the freshly pressed recordings. All will be released on the collaborative project 'label' - Obstacle Soup - "producing music that stays in your head"
For World Record Store Day 2012 (21st April) and to coincide with GI (Glasgow International Festival of Visual Arts), Monorail Records will be hosting an exhibition curated by visual artists Chris Biddlecombe and Janie Nicoll. This installation is the result of a collaborative project involving the creation of approximately twenty record cover artworks created by a wide range of Scottish artists, each of whom have a strong interest in or connection to music making; artists who have been in bands, who DJ, or who use music as a theme in their art making practice. List of featured artists: Alexander Violette; Amy Marletta; Baldvin Ringsted; Brian Hartley; Chris Biddlecombe; Douglas Morland; Fiona Danskin; Hrafnhildur Halldórsdóttir (Rafla); Ian Smith; Jim Colquhoun; Janie Nicoll; Jason Nelson; Jim Lambie; Jonnie Wilkes; Karen Vaughan; Kevin Hutcheson; Kevin Reid; Nicola Atkinson (Nadfly); Ronnie Heeps; Ross Sinclair. Each artist has created their own fictional ‘artiste’s album’ in the form of a 12” double sided artwork displayed in a plastic sleeve. 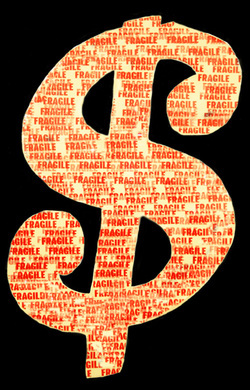 All will be released on the collaborative project 'label' - Obstacle Soup. This project explores visual images that are connected to music, the demise of vinyl records and their recent underground rebirth, how expectation can be better than the product, and when does a sound become an object to hold and treasure. Often the 12" record cover acts as either a point of anticipation or reflection, at the point of purchase or after the first listen. This project places the 12" cover at the centre of the action and the music remains in the viewers head - there is no necessary disappointment about what lies on the grooves in this dislocated fiction. 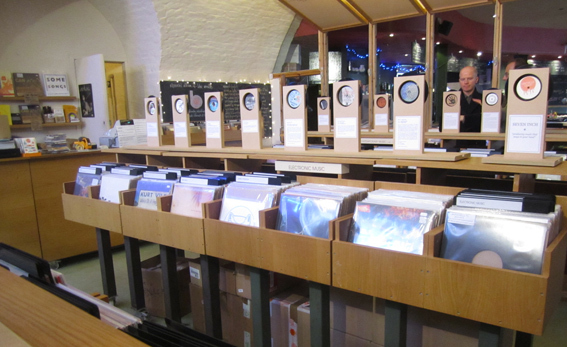 In this first part of the project they will create an installation of 20 new vinyl releases that will become integrated into the existing record display in Monorail Music, Glasgow. 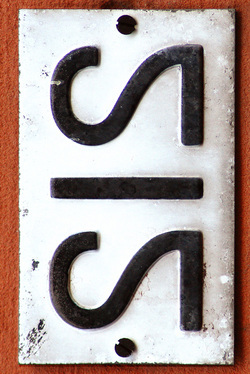 Chris Biddlecombe and Janie Nicoll are both artists based in Glasgow who each have a history of making work in the form of site specific installations using a variety of techniques that create ambigious dialogues with the viewer using cultural, historical or social references. Here's a link to the Facebook event with photos and info about the artists and artistes! 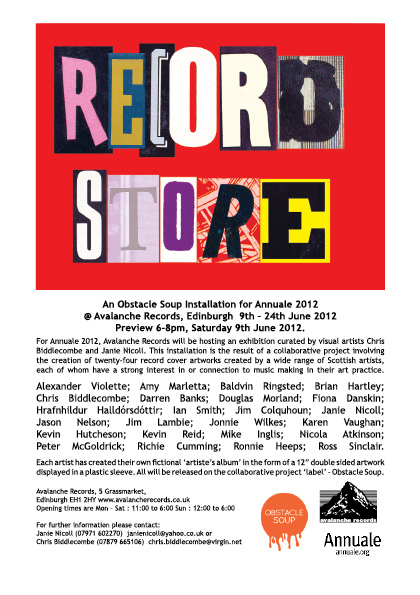 Record Store, at Avalanche Records in the Grassmarket, Edinburgh 9th - 24th June, as part of Annuale 2012. Here's a video interview by Summerhall TV, with Chris Biddlecombe about Record Store. 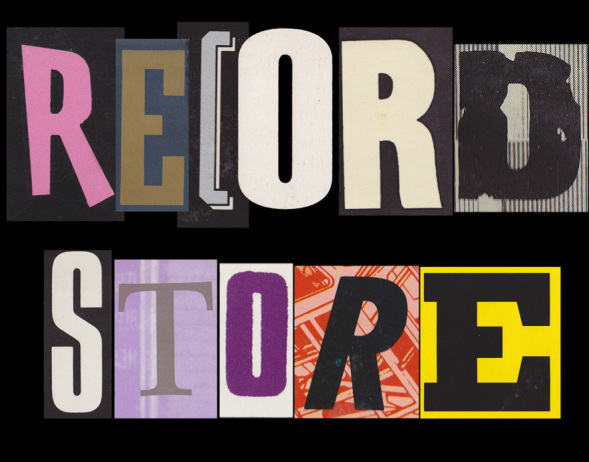 Here's an article by Neil Cooper in Line Magazine about Record Store. 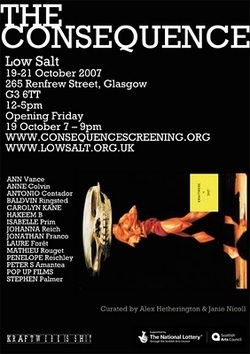 Over the last few years I have undertaken a number of collaborative projects with artist Alex Hetherington, which have included The Consequence Video Screenings at Lowsalt Gallery, Glasgow and Edinburgh Sculpture Workshop, you can check out our collaborative process on our blog The Consequence Blog. During 2008 we undertook a year long Scottish Arts Council PARTNERS residency based at Callendar House, Callendar Park, Falkirk that included two exhibitions at the Park Gallery -'Meddle With The Devil', and 'Garlands/Mineral Park'; 'High Rise Cinema' an outdoor film, screening event; music by Glasgow bands 'TutVuVu' and 'Fool For A Pretty Face' and performance events by Jim Colquhoun and Alex Hetherington, during Big In Falkirk '08. We created a website and 'The Twins' collaborative Calendar Project involving a variety of artists including Jim Colquhoun, James McLardy, Rachel Mimiec, Linzi Perth, Hanneline Visnes, Tommy Grace, Mandy Macintosh, Amy Marletta, Cath Whippey, Kenny Hunter. 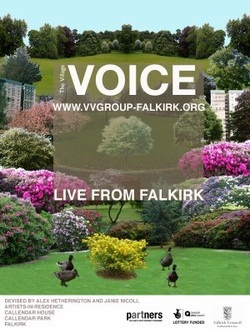 More info about our activities during the residency can be seen here Falkirk Residency blog and in the PARS blog archive..
During the sh[OUT] season at GOMA, Glasgow during 2009, we were commissioned to create a documentation project which resulted in this website Shout Documents. 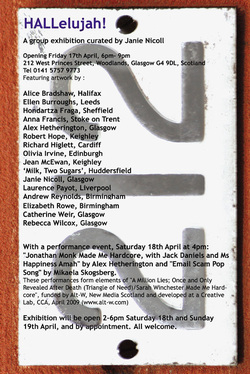 'Detox or Die' was an outdoor event, co-organised with William Love in the backyard of his workshop premises in Maryhill Road, Glasgow. It featured the film 'Detox or Die' by David Graham Scott, live music by Fran Schoppler, and 'Food-Love-Music'; and four animated films by David Shrigley. Here's an article from the Sunday Herald about the film and the event.